All of our items are advertised in multiple places. We do not ‘hold’ items that are listed, and there is NO guarantee that any item we have listed, will not be sold through another venue. The ONLY way to guarantee the availability of an item is to purchase it immediately. We will not be responsible for typographical errors. We CANNOT assume responsibility to the suitability or compatibility of products. Compatibility: Hi-Tech hereby disclaims any representations or warranty that the products are compatible with any combination of products the customer chooses to connect to the products. It shall be the customer’s responsibility to determine for itself the suitability and compatibility of the products in each instance. Unless stated otherwise in the product listing, all items sold by Hi-Tech Enterprises, Inc. are considered ‘AS IS,’ and not eligible for exchange or refund. Hi-Tech Enterprises, Inc. ships most In-Stock products on the same business day for orders received by Noon (ET). Noon (ET) is the official cut off for same day shipping. Sometimes we can ship after this time. We do our very best to get everything out on the day you order, but we can’t always meet our goal. With the exception of shipments to HI, PR and AK, we will not upgrade your shipping without your approval. When in doubt, spend the extra couple of dollars to make sure you end up with a timely delivery. We don’t want you to be disappointed. If your order is urgent, please call us immediately and EMAIL US to make sure that the order has made it to the sales staff and is moved to the top of the pile. For exceptionally large/heavy items the buyer should arrange for a freight pickup from our location. For payment via PayPal, shipments will ONLY be sent to confirmed PayPal addresses. For credit card payments, shipments will ONLY be sent to the billing address on file with your credit card company. Due to the size and delicate nature of our items we cannot ship to P.O. boxes. You may pick up your order at our main offices in Clearwater, FL. However Florida state sales tax, at a rate of 7% will be charged unless we receive a valid Florida state exemption certificate prior to pick up. Also, we are not equipped to load merchandise into your vehicle. We will do everything possible to assist you but please be prepared with the proper sized vehicle and manpower to load your purchases. All shipping days are business days, which are Monday through Friday. Weekends and Holidays do not count in the process. An Overnight order placed after Noon on Friday or on Saturday or Sunday will not arrive until Tuesday. Ground: UPS Ground, FedEx Ground, USPS. 3 Day Select: UPS 3 Day Select, FedEx 3Day Service. In-stock items ordered on Tuesday before Noon EST generally arrive Thursday. This service isn’t available on all items or in all areas. When in doubt, please ask. This is the standard option for AK, HI, or PR. Order before Noon ET, get in-stock items the next business day. This service is not available everywhere in the US. Some places, especially rural America, are 2 day service no matter what you want. UPS and FedEx cannot deliver to a Post Office Box. We are always willing to ship at whatever level of service you require. Choose the appropriate level during checkout. Please note that 3 DAY SELECT does not mean 3 days from your order date. UPS and FedEx do not count the day the package is entered into their system, so a package shipped on Tuesday usually arrives on Friday. This allows most people to receive their packages before the weekend if they plan ahead. Weekends and holidays are not counted in the delivery process. Orders placed after Noon ET on Friday are processed on Monday. As Is Sales are just that, is as, not returnable or refundable under any circumstance. Seeing that we have items listed in multiple venues all items are sold on a first come, first served basis. We will do our best to keep your order active for 10 days to allow payment to arrive but if another buyer submits payment first they will own the merchandise. Money Orders and checks must clear our bank before we can ship. Please allow 10 business days for this to happen. Orders with PayPal payment will be held for the funds to clear. We only accept verified customers of PayPal with confirmed addresses and will only ship to confirmed Pay Pal or credit card account addresses. We’re sorry, but we do not ship any packages on a C.O.D. basis. Sales Tax must be collected on any delivery made inside the State of Florida. If you have a Florida State Billing Address but have your order delivered to a confirmed address in another state, it is Tax Exempt. Items for resale are Tax Exempt but we must have a valid Florida Exemption Form on file for your company, prior to merchandise pick up or delivery, to remove the tax. All tax exempt transactions must be paid for by the tax exempt entity in order to avoid paying the tax. Please fax or email your certificate to us at 727-573-9606 / orders@videoequipment.com, along with the Order Number. The rate calculator will tax your order. We adjust the invoice manually during processing if we receive the proper documentation. Tracking numbers are generated by the shipping firm used to deliver your package. Depending upon the location of the item, we can have the carrier email us the tracking number. For some warehouse locations we have an automated system to email this information to you as soon as we receive it. This is not available from some vendors and some warehouses. If you do not provide us with a valid email address, you have a spam blocker, or have your emails approved before receiving them we cannon guarantee you will receive the tracking information via email. International orders can usually be tracked. We recommend FedEx International Priority service. You’re probably right and we’re sorry it happened. We’re humans assisted by some pretty good computers, but we’re still human. We do our best to get it right the first time, and better than 99 percent of the time we succeed. When we make mistakes we work hard to correct them. 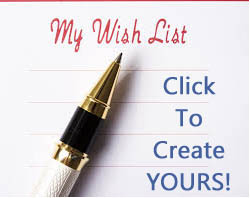 Please be sure to provide us with order numbers, your name and address and the detailed specifics of what was or was not shipped so we can solve the problem as quickly as possible. For your protection we do make a signature mandatory. It is up to the shipping company, not us, to decide if a delivery notice is left at your door. We cannot be responsible for delivery delays due to signature requirements. We will do our best to stop an order if you contact us. However, much of the order process is automated. Once your credit card has been approved, the order is sent to the warehouse for picking. At this point, we may not be able to prevent the order from being shipped. You may refuse delivery when the package arrives and we will refund the cost of the merchandise, less the restocking fee and any return shipping costs incurred. The item you are looking at is being sold ‘AS IS,’ with no warranty or return. It may be non-functional, and sold for parts or repair. In most cases the item is previously owned. Often we don’t know it’s history, and even though we may have it working while here in our warehouse, we cannot make a guarantee that it will continue to function, especially after shipping. For some items that we receive, we do not have the equipment necessary to test them. Our listing will state as much as we can about the condition of the item, but we are not able to make a guarantee as to it’s workability. If you receive an item that has been sold ‘AS IS,’ and feel that shipping may have damaged the item, contact us, and we will help you to file a shipping claim. Some items are offered with a 48 Hour checkout. The checkout period for these items, is ONLY to determine that the item works as advertised. 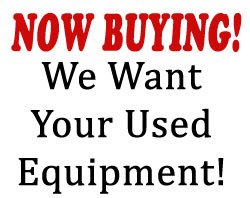 We do not guarantee the overall condition, or longevity of used items. If something is not explicitly stated in the item listing, do not assume it to be true. No returns will be accepted without a Hi-Tech issued return authorization number. Any and all approved refunds are subject to 25% restocking fee. Buyer is responsible for ALL return shipping costs and insurance. Buyer is responsible for any loss or damage in return shipping. Buyer responsible for all shipping, handling and insurance charges at all times. This is not a warranty against damage or breakage after the item has left Hi-Tech‘s facilities. Refunds will not be offered on returned items, unless a repair or replacement is not available.